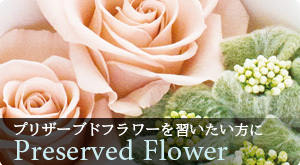 JPFA was founded in year 2000 by Taeko Ishikawa with partner ship with the company florever. 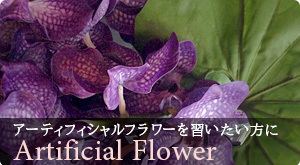 We are the oldest preserved flower asociation that started to give out diplomas. We have about more than 8000students that have passed the diploma test. more students who took other courses. We are proud that they all have started to give out original lessons and new preserved flower asociations of their own. Some have their own shop and own bussiness. We have several courses but since we have alot of international students we are starting a new international diploma course. International diploma course The international diploma includes all of the basics to profrssional that you need for preserved flower. 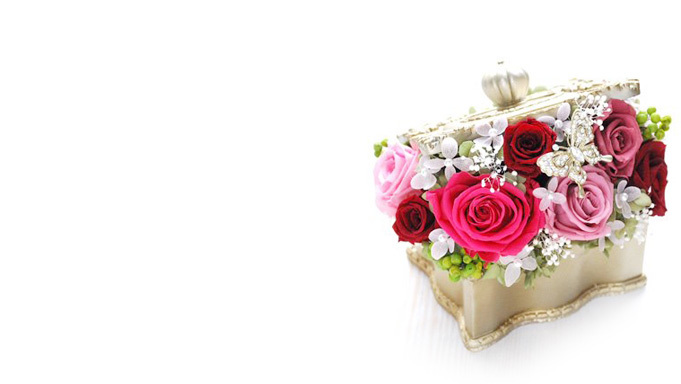 essential tecniques of blooming method ,gift arrangrment, bouquets , gift wrap, in the course you will also learn how to repair, how to take care. You will all get an diploma if you finish the course. 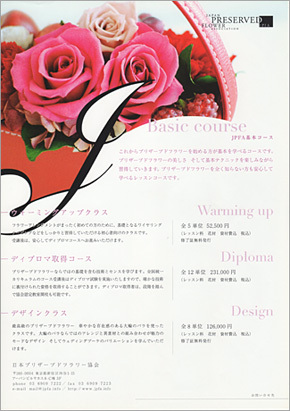 Fee 260000yen plus tax the fee includes 6arrangement 1weath 3bouquets 1boutonier, 2wriatlets, and diploma fee We can make the course either a 4full day or 8half a day for further questions please contact.